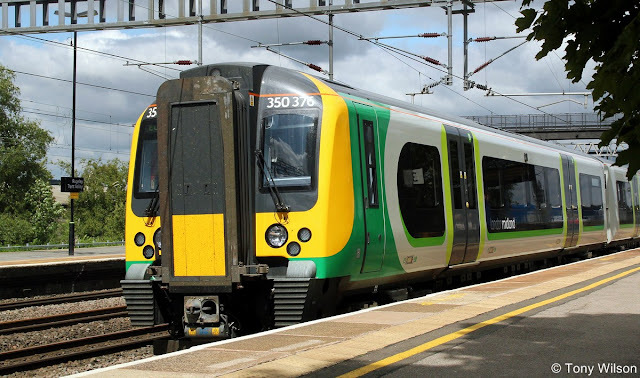 Birmingham-based rail operator London Midland has won a renewal of its contract to run rail services between London, the West Midlands and northern England and is promising a raft of improvements. The announcement by the Department for Transport extends London Midland's contract to October 2017. The company said passengers would benefit from more services, free WiFi, improved performance and better ticketing among many changes it was planning. In total, £13 million worth of improvements are planned over the next 18 months which include two extra evening services on weekdays from London to the Trent Valley and earlier services to central Birmingham on Sunday mornings from surrounding towns including Rugby and Lichfield. There will also be new Sunday services from Longbridge, Dorridge and Whitlocks End to Birmingham and free wi-fi on long-distance routes between London Euston, Northampton, Birmingham, Crewe, Stoke and Liverpool. London Midland said it was aiming for free wi-fi on all services when the next fully competed franchise started. It will also have to meet new targets to increase cleanliness, install CCTV on cross-city Birmingham services and equip station staff with tablets to improve the information given to customers. The firm will be required to work with the Smart Cities Partnership to introduce 'smart' ticketing on trains, building on the existing Swift smartcard scheme, to provide seamless and more convenient journeys. Managing director Patrick Verwer said: "Winning this contract is a great endorsement of how London Midland is focused on improving our passengers' journeys. "Since 2007, we have invested nearly £300 million in trains and stations. Over the last two years, we have significantly improved performance - cutting both delays and cancellations. "This new franchise offers some very exciting opportunities and will bring benefits touching every element of our passengers' journeys."